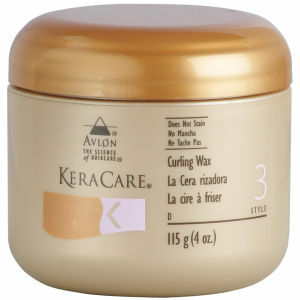 Washes well and leaves hair silky soft. Great product, a little amount lathers quite a lot and simultaneously hydrates detangles the hair. Awesome product, would keep buying the product as long as I can always afford it. The bottle arrived open with some shampoo doing out of the bottle. Not pleasant… The other bottles I bought were great. I hope this won't happen again. Thank you for asking! This is one of my top two favorite shampoos ever. The other one I like is Redken All Soft. But this shampoo is a fraction of the price of Redken and it does the same.It leaves my hair soft and silky and hydrated and it smells so wonderful. The fact that it does not have sulfates is a huge plus. For reference, I have blonde bleached, damaged and dry hair and this is perfect! Really recommended. I have o say, this detangling shampoo is absolutely AMAZZZZING! have mixed European/Afro hair.... tangles quite a lot when washing...but with this Shampoo... NO TANGLES AT ALL!! would totally recommend :-) 10 stars. Amazing product, I cannot do without it. I have a mixture of Afro Caribbean, Irish and Indian textured hair due to my heritage, and I haven't found a product that really worked for my hair until now. My dry hair feels really soft and moisturised when I use the Keracare Hydrating Detangling Shampoo (240ml). My hair tangles easily and usually knots up, but when I use this all the knots are gone. Keracare Hydrating Detangling Shampoo is a very good shampoo, not to aggressive yet gives a good hydration to the hair.